Are you looking for a way to improve your posture while toning your abs? Try out the Productive Fitness Great Body Ball DVD that shows how to use the body ball in 57 different exercises that will transform your whole body. These fun and easy to do work outs target the muscles of your back and core and will improve your overall strength, flexibility and endurance. Get toned in no time with the Body Ball DVD! 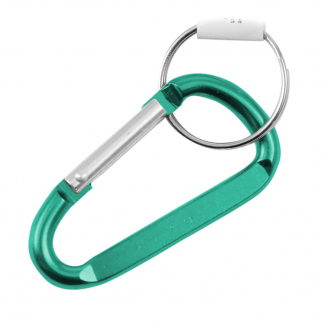 5mm 2" Extra Small Carabiner Key Chain - Green $ 5.99	• 45% off! 8mm Large 3.25" Carabiner Clip Key Chain - Orange $ 5.99	• 45% off!